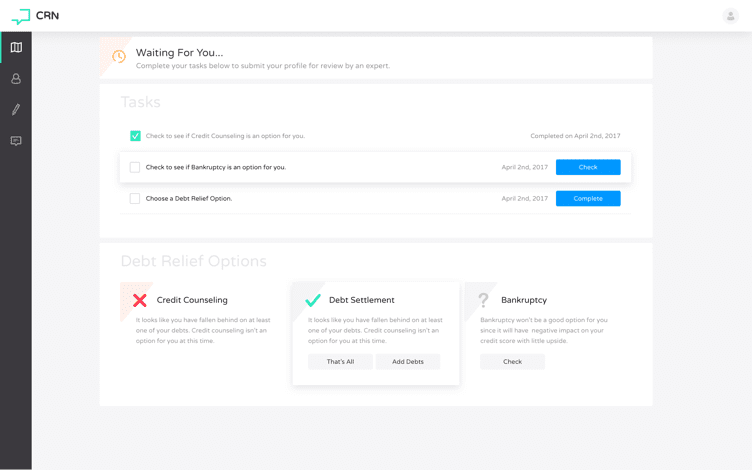 If you’re looking into debt consolidation, then you’re probably at the point in the debt cycle where you realize you might be trying to juggle too much debt. You may still be on time with payments, but your high interest rates are setting you back or you have too many accounts, making it hard to keep up with. Maybe you can’t afford to do more than the minimum payment, so you’re likely not getting anywhere with your debt. The good news is that there are some things you can do to get closer to your financial goals. We cover the details of debt consolidation throughout this site, and in videos about consolidating on our YouTube channel, with this particular page being set up to reference as a resource. So… I will start with defining what it is we are talking about with debt consolidation (because the term is used so freely to describe multiple different approaches). The term, “consolidation”, means to “…combine a number of things into a single, more effective whole”. This is true when speaking about your debt, however, this term is used to describe a few, very different, solutions in the debt and credit industry. Consolidation commonly refers to Credit Counseling, where you may be signed up for a Debt Management Plan, or DMP. Less than one third of those seeking credit counseling will enter into a DMP. This is where a credit counselor negotiates small concessions (lower interest rates, penalties, etc.) with your creditors, and consolidates your bills into one monthly payment. The counselor then takes that monthly payment and disperses it to your creditors, all the while offering additional money management tools and options. Please see our simple guide to Credit Counseling Services. It’s important to be transparent about your finances, so you can get what you need from your counselor. If he or she doesn’t understand where you are, financially speaking, then it makes it harder for them to effectively assist you in getting out of debt, and isn’t that your primary goal? For a free one-on-one consultation with a good and reputable credit counseling agency, call 1-800-939-8357, and choose option 1. I mentioned that it’s typical that only 1 in 3 people can qualify for the reduced monthly payments from consolidating your credit cards and other bills through a nonprofit counseling agency. It is a call worth making because it’s free to get an exact, to-the-penny consolidation quote. They aren’t pushy, and you can quickly learn if it’s something that can work for you or not. Credit counseling services have a lot of resources and tools available to help you assess your financial situation and design a plan to get out of debt. This makes them an ideal choice for someone who feels their finances are beginning to close in around them. If you’re uncertain, see how credit counseling stacks up against debt settlement. Debt consolidation often refers to taking out one large loan, with a lower interest rate, to pay off other, smaller debts – credit cards or other accounts. This could be done through peer to peer lending and many other types of personal loans, or as a secured loan (HELOC). Secured loans will often give you the lowest interest rates. Please read our detailed post on Consolidation Loans. The downside of this type of consolidation is that if you become delinquent, you’ll be accumulating fees, hurting your credit score, and possibly losing that low interest rate before you get a chance to reap the benefits. It’s important to note that if you need to apply for a new loan to pay off your higher interest credit cards with, the fact that you’re in debt with higher credit card utilization will count against you in your application. Your current credit score will often impact the interest rate you pay on a peer to peer, or other loan. Another thing to consider is that consolidating your credit cards by paying them off with money you get from a HELOC means you have traded unsecured debt for a secured loan, and that can put your home at risk if you later fall into a hardship. This is also a form of debt consolidation because you can transfer one, or several, smaller credit card balances with higher interest rates to a credit card with a larger limit and a lower interest rate – preferably a 0% introductory rate offer. This helps you save the most money in this “window” of time. A balance transfer is also more convenient, as you are able to make just a single payment per month. As you can see, the phrase “debt consolidation” covers a lot of ground. Make sure you understand the differences between each type of consolidation before deciding which one will work best for your specific set of circumstances. This will better ensure your financial success in the long run. What Does Credit Counseling and a DMP Do to My Credit Score? Please also use our search bar in the sidebar to the right to help you find the content you’re looking for. If you have questions about consolidating debt in your specific situation, post in the comments below for feedback.